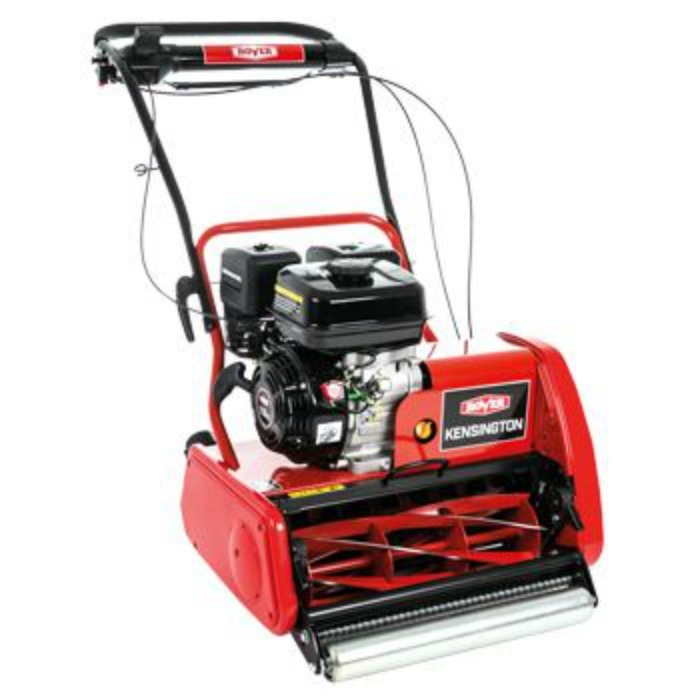 Designed for medium to large lawns, the Rover Kensington is availablewith a 43.2cm (17″) cutting width. Powered by a Rover 118cc 7.3Nm engine, it is equipped with six-bladed precision cutting cylinders that deliver 79 cuts per metre. For additional lawn care, a range of optional cartridges can be easily fitted. Optional cartridges can be easily fitted for additional lawn care.